Our speciality, each one is unique and here are some of our most popular designs which we have adapted many times – different sizes, design, colours, and backgrounds. If you see something you like or you are looking for something unlike anything you see here then please contact us. 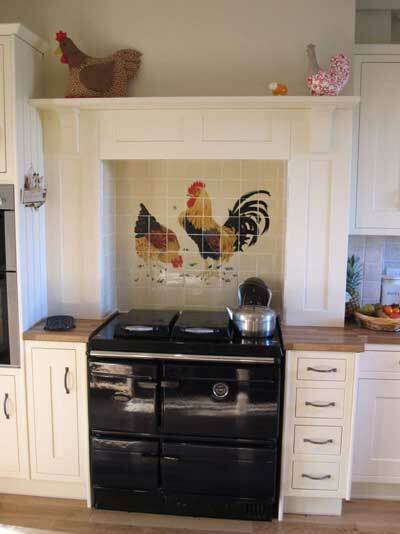 Sizes and designs may be varied to suit each client. 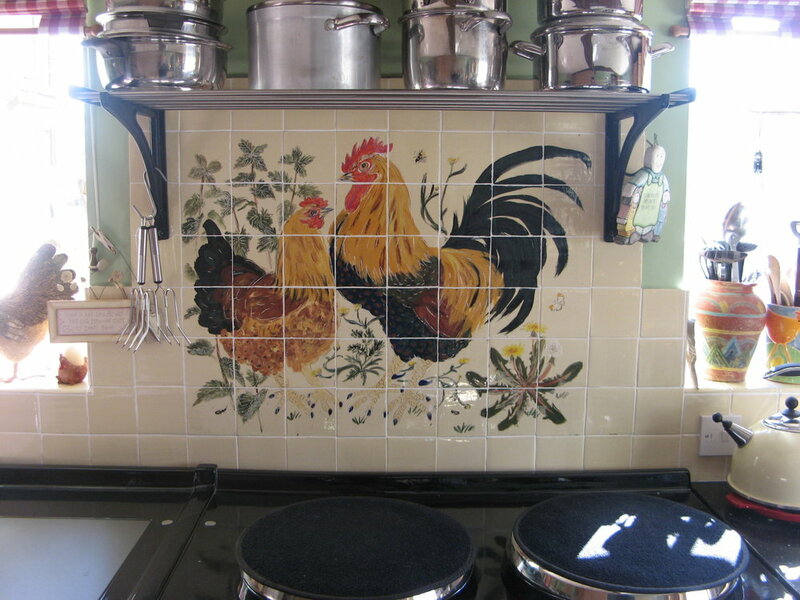 All the tiles are our own 100mm. 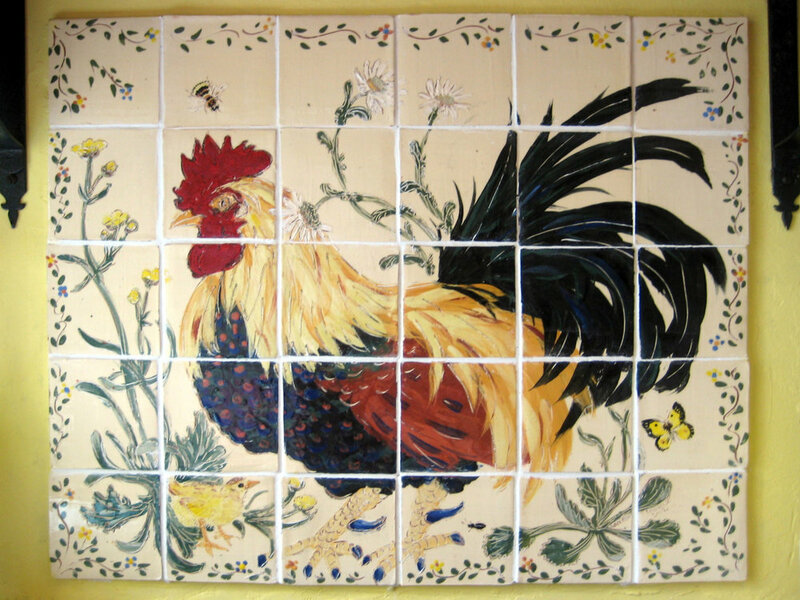 Murals featuring big, bold cockerels and hens are our trademark. These may be on a cream or white background, with or without buttercups, daisies, or nettles. Each mural is individually designed to fit the space, and is signed and dated. From our Sea Shanty range.